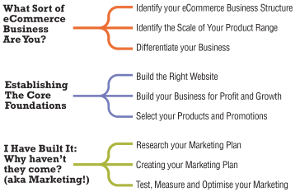 Successful eCommerce businesses follow a pattern – the eCommerce MasterPlan. This book identifies the 7 eCommerce Business Structures used by successful eCommerce businesses. These structures influence everything else in your eCommerce business. Understanding the eCommerce Business Structure is just part of the first step in creating your eCommerce MasterPlan. The other two steps are; the Foundations of your eCommerce business (the website, the money, and the products) and the Marketing Plan (how to create it, launch it, and improve it). These 3 steps, outlined in this book, are already being used by businesses to accelerate their growth and avoid failure. 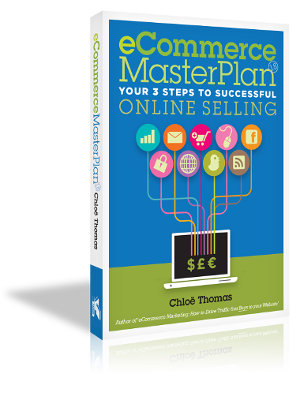 eCommerce MasterPlan is built on Chloe’s years of experience across many eCommerce sectors and different types of businesses. Whether you already have an eCommerce business and want to improve performance, or you are interested in starting one – this book will help you achieve your goals faster and help you waste less time, effort and money. Anyone running an ecommerce business will relate to so much of this book and get the inspiration to get on and improve their business almost immediately. 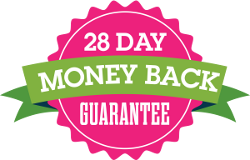 If you read and follow this book (including using all the great online support materials) you’ll be building your business to avoid waste and grow faster – getting it right the first time will save you both time and money. So many business owners have come to me with just this problem. Wasting £10,000s on the wrong web development and marketing. Wasting 100s of hours each year researching and interpreting information written about online marketing to make it work for eCommerce, looking into ideas that just aren’t going to work. Understanding what sort of eCommerce business you are is essential – most of the eCommerce businesses I’ve seen go under have fallen because they got something this fundamental wrong. If you can get the Core Foundations right first time you’ll build a stronger business, and save yourself a pile of money, time and heartache. Finally, you can build the best eCommerce websites and products in the world, but if your marketing doesn’t work neither will you. So building the marketing plan is the final step. Work through the 3 steps and by the end you will have created your own MasterPlan, which includes: a defined business structure, with carefully chosen product range and understanding of what will differentiate you from your competition; a plan for website development, a scalable business plan and a strategy for selling your products, including promotions and offers; and a researched and tested marketing plan to allow you to attract visitors and grow your sales. Enter your email address below to get a free PDF copy of the first first chapters AND a mini course about it too!